The sleds listed on this Slope (page) reference first the manufacturer, the model number, and then other information. 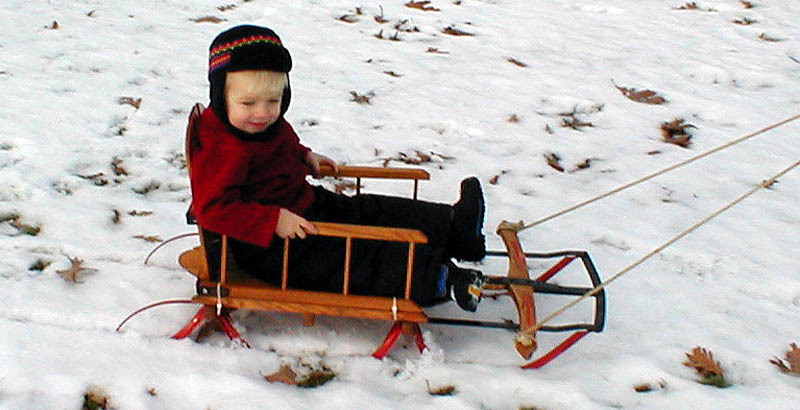 Flexible Flyer sleds are shown on Jon's Slope P. 1 Sleds by the Paris Mfg Co., by Auto Wheel Coaster (AW), and by the Standard Novelty Works (usually Lightning Guiders LG), and other companies are shown here. 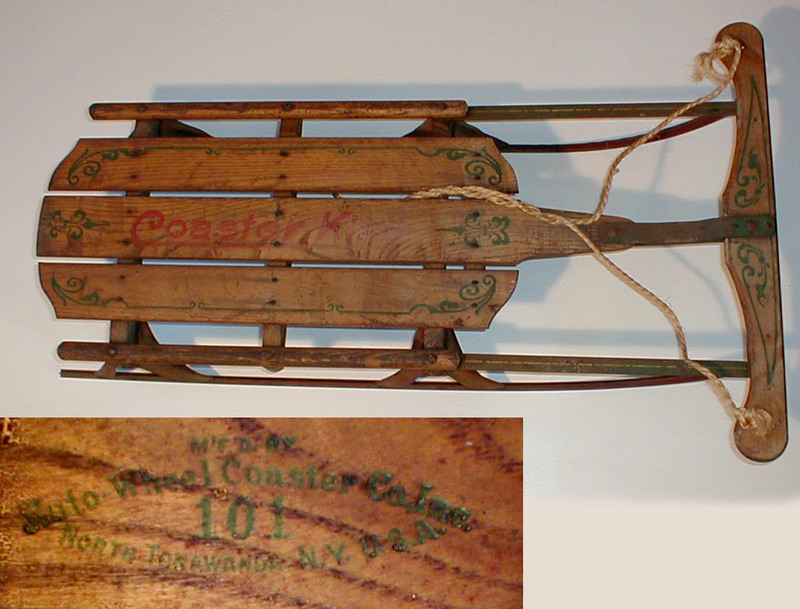 PARIS CLIPPER - No 18 This is an early non steerable sled made by the Paris Mfg Co of Maine CA 1900. The deck has been over painted, but the rest is original. 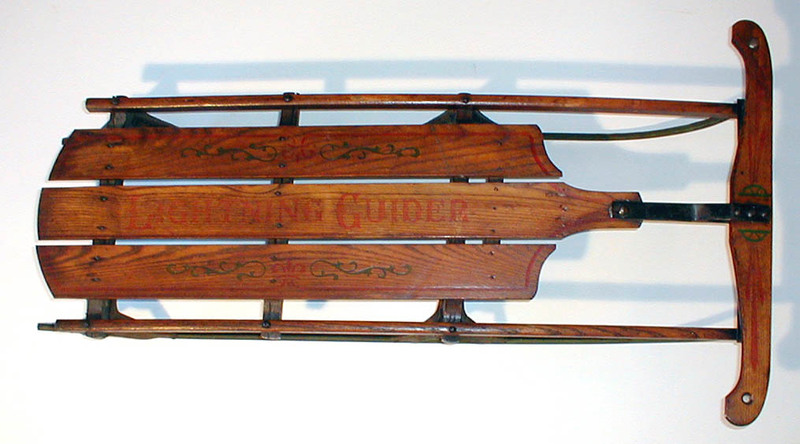 UNK - Clipper Style - Early wooden sleds often had beautiful art work on the deck. These probably date from around 1900. 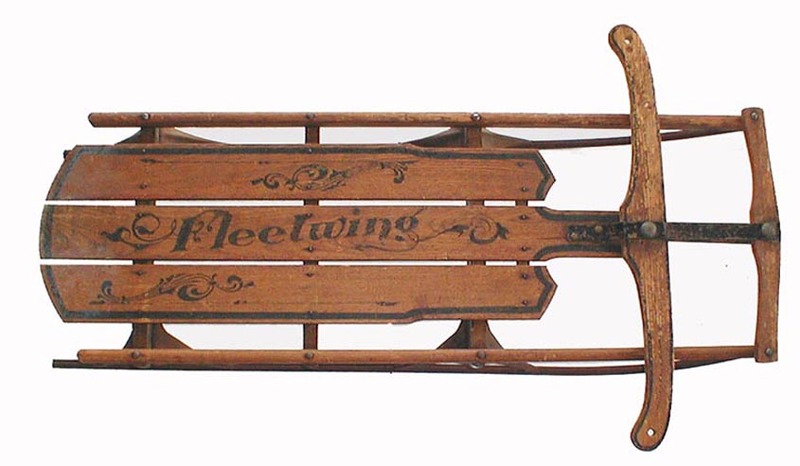 AW Fleetwing - Fleetwing was a model name used by the Auto-Wheel Coaster Company in North Tonawanda NY (near Buffalo), before 1921 known as The Buffalo Sled Company. According to Palicia, op. cit., pp. 103 ff., the company existed from 1904 to 1964. 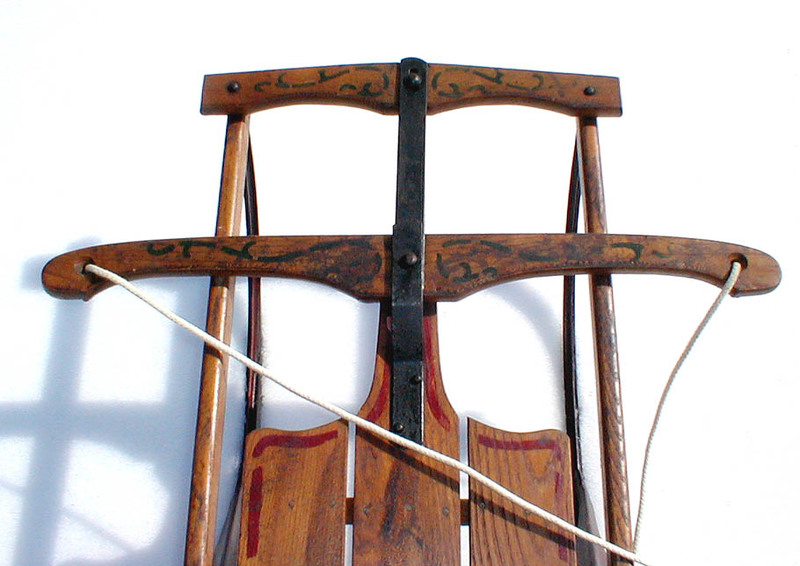 The sled at right was probably made before 1930, likely before 1920, and is an example of sleds with wooden bumpers. AW Another sled by the Auto-Wheel Coaster Company with good graphics. Date probably is mid 1920's. The label on the bottom is inset on the picture. 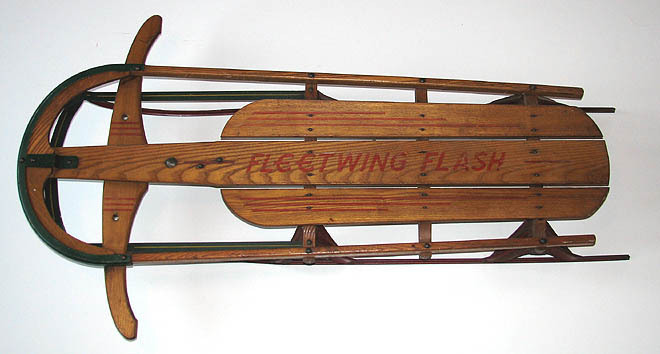 AW Fleetwing Flash - Model 246 - This sled dates from about 1940 to 1950 (cf. Palicia, op. cit., pp. 103 - 105) and a deluxe version had springs between the top and the supports for the runners. Length was 46". 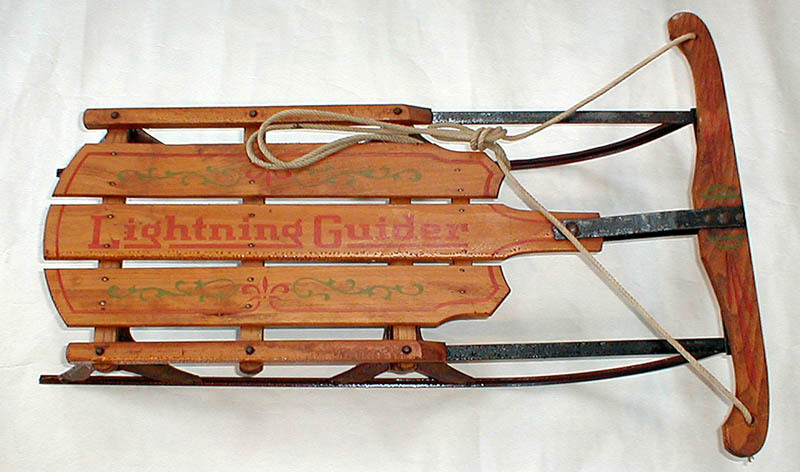 LG - Mod No 23 - This very old sled with a wooden front end and hand stenciled graphics dates from 1915 - 1920. We found it in Massachusetts and it is in perfect condition. The numbering system is a bit of a mystery. 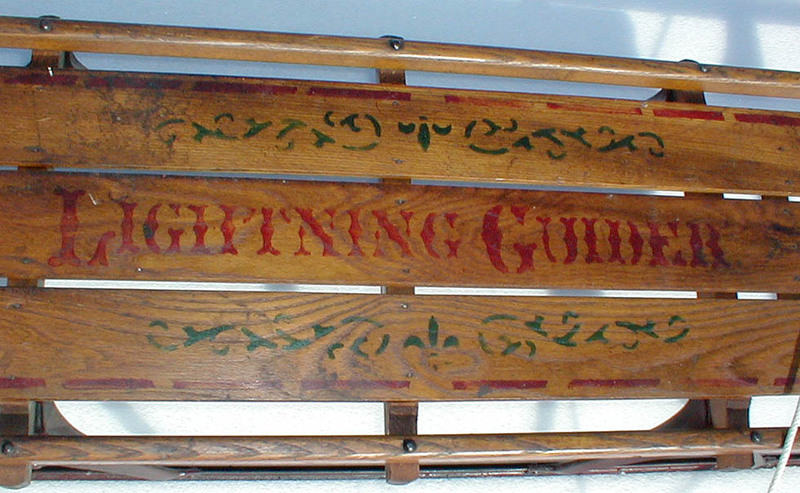 LG - Mod No 22 - An early Lighting Guider with nice graphics stamped on the deck. Dated probably from late 1920's. Still with wooden side rails to the bumper. 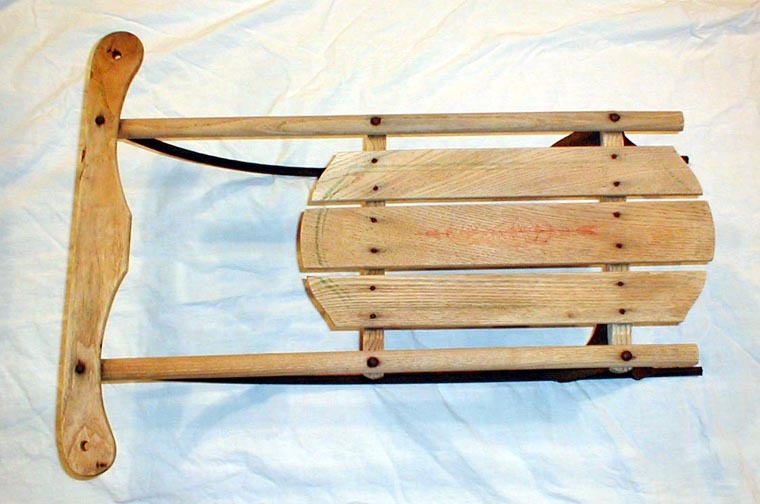 LG - Mod 119 - A small child's sled with impressed graphics. Probably about 1930. LG - Anniversary - Graphics and construction identical to the 119 Model, except for steering and name - probably about 1929 when company was 25 years old. LG - Later model No 122 Often sold with a wooden child's seat (Model No 100) attached by straps. Great for grandchildren. 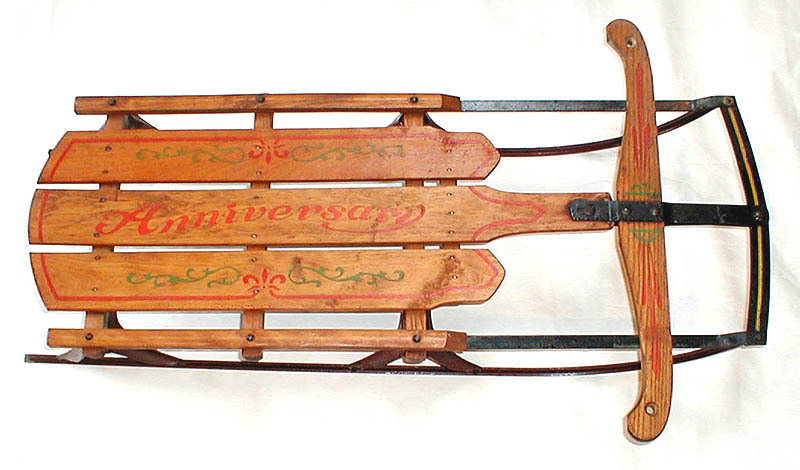 PARIS - Snow King Reproduction Made in 1986 to commemorate earlier clipper sleds. 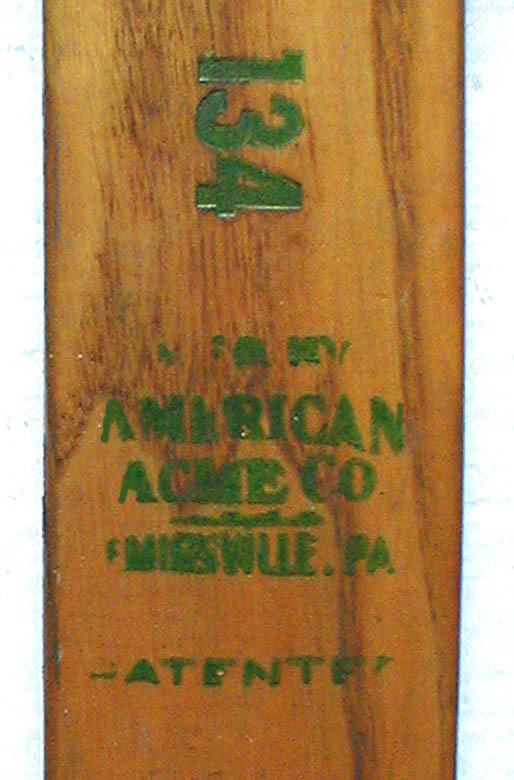 AMER ACME CO. - A small old sled with no manufacturer's marking. 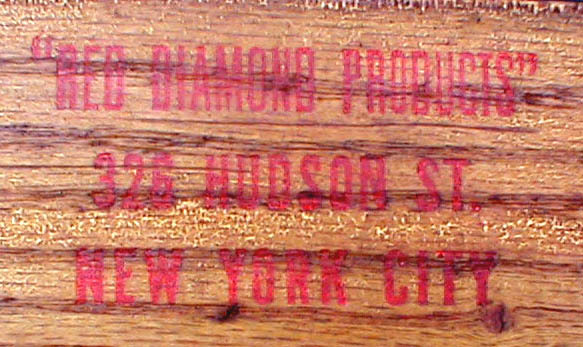 Thought to be from the Auto-Wheel Coaster Company, it is now identified as from the American Acme Company. 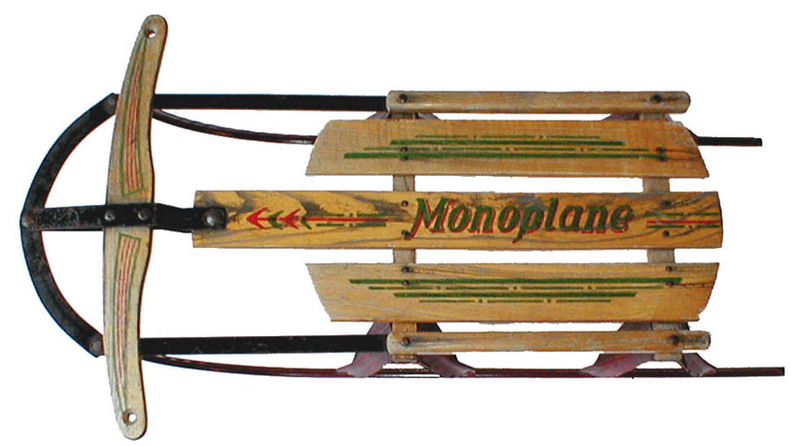 A similar sled had the name Flexoplane on the top. AMER ACME CO. - MONOPLANE The American Acme Company was another of several sled companies. It originally was known as the American Toy and Novelty Works, in York, PA (Palicia, op. cit pp. 92ff). 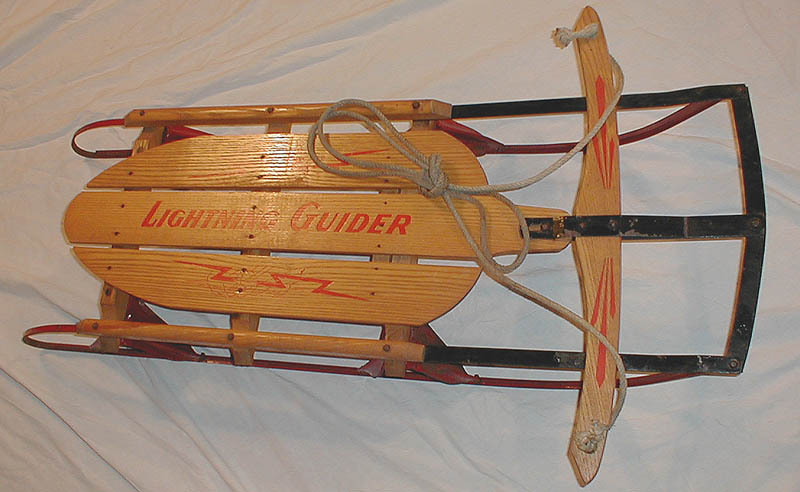 It manufactured sleds from 1917 to after 1960. 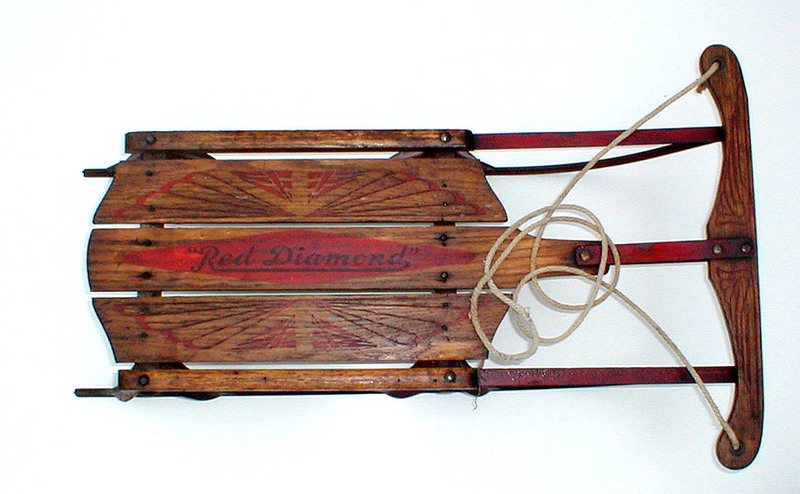 Red Diamond - The Red Diamond sled is small and represents one of many unknown manufacturers of sleds. We have no further information on the item and include it to demonstrate that there are dozens of little known sled companies.